UNPARALLELED ELEGANCE, QUALITY & PRIVACY ON THE BEST BEACH IN TEXAS! 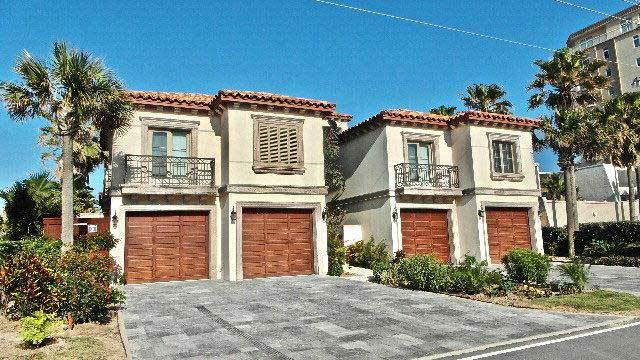 As you enter this gated courtyard to these 2 townhomes, this is the home on the South side. Walk the picturesque bridge over the pool to your front door. It boasts 4 bedrooms, each with their own bath, a bonus room on the first floor with a full bath across the hall, and game room/BR over the 2 car garage with its own bath. You can easily convert the bonus room or game room to a bedroom if needed to make 6BRs. Enter to an expansive open living/dining/kitchen area. Quality is exceptional from the mesquite wood floors and large private elevator to the high end appliances and countertops. Exquisite. Qualified buyers only. Check out the additional pictures and virtual tour.